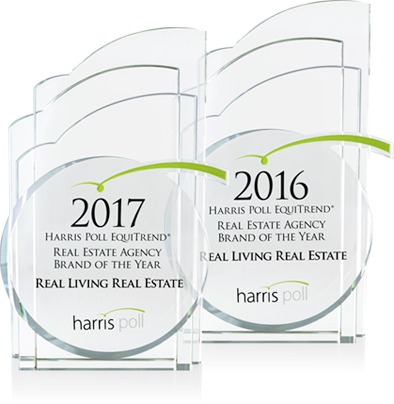 We are extremely proud to announce that Real Living Real Estate has been named "Real Estate Agency Brand of the Year" and "Most Trusted" real estate brand in the 29th annual Harris Poll EquiTrend® study. Real Living has received Brand of the Year honors for two consecutive years and is the only brokerage network to be recognized twice in its category. 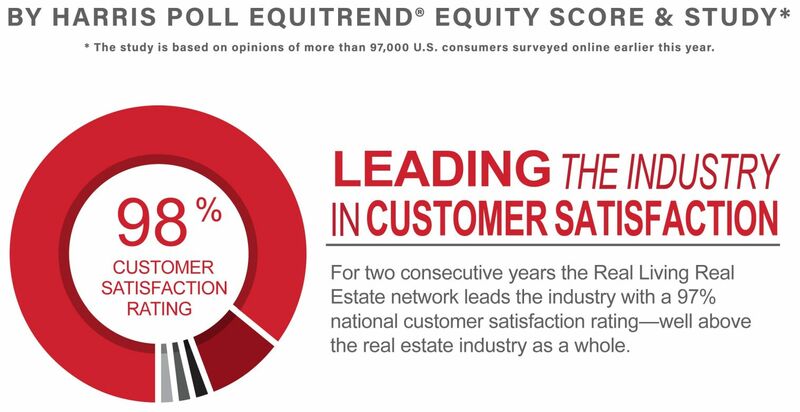 Real Living Real Estate received the highest numerical Equity Score and the highest numerical score relating to Trust among Real Estate Agency brands included in the 2017 Harris Poll EquiTrend® Study, which is based on opinions of 102,617. U.S. consumers ages 15 and over surveyed online between December 30, 2016 and February 21, 2017. Your opinion may differ. "Highest Ranked" was determined by a pure ranking of a sample of Real Estate Agency brands. Please go to www.theharrispoll.com for further details. "Jim was invaluable to us..."
"Thanks to Real Living and Jim Faust for finding us the best home ever. Thanks for the countless hours showing us around. You were invaluable to us finding our "forever" home"
"We are so grateful for Byron..."
"Byron not only welcomed us to the Pacific Northwest with a wonderful home but also a great friendship! We, and our dogs, are so grateful!" "We love our Staci - for our home, for our friendship, for the fun, for our future home too!!"